I was in a coffee shop last week and there was nowhere to sit amidst the hustle and bustle of the morning buzz. Talk about – w-o-w; different, refreshing, compelling – a quote from one of the world’s most successful businesswomen in history. How does this relate to me? I come from a large extended family where five women sold Mary Kay products throughout their lives, and my mom was one of them! My aunt and cousin still do – so when the brand reached out and wanted to send over their Chromafusion Collection for review – it felt all wonderfully close. to. home. I’ve been wearing their makeup for years – it was all I had in high school (I tried to pinch as many samples as I could from my mom’s collections – l-o-l) since I couldn’t afford makeup of my own. The crazy part, though, is being reunited with the line from an influencer perspective. My eyes have been opened to the kind of woman Mary Kay Ash was, the faith she held close to her heart, and also – their new line of products. And I’m all in. In a world of overstimulation, 2019 to me has been about finding solid leaders, mentors, and role models to look up to that embody character; whether it’s on social media when I hit that blue follow button *or* in real life when it comes to coffee talks and discipleship. “A woman of character” is something we’re reviewing right now on @my_darling_diary. But it’s also something I’m working on seriously for my career: finding mentor figures who I look up to and whose lives are dedicated to a purpose greater than themselves. After reading up on Mary Kay Ash and the woman she remained to be throughout the oodles of success, it definitely makes me more invested – who.is.with.me. But the products amazed me just as much. Although I have fond memories of again – nabbing Mary Kay lipstick samples from my mom’s makeup drawer in middle school – trying their products was an incredibly pleasant surprise. Why? Being the visual creative that I am, I naturally tried the products before reading any of the pamphlets Mary Kay sent about them – naturally. And what I realized is how incredibly smooth the makeup applied. You know when you put on an eyeshadow and it creases, within minutes? Nope, nada – not happening – no creasing – at all. Then I read the pamphlets: Mary Kay’s new Chromafusion Collection is makeup created to wear through work, workouts, weather, whatever – meaning all day endurance and life-proof goodness that holds for a really long day. The shades were even better – I used a subtle mix of the shades: “hazelnut,” “glazed,” “latte,” and “burnished bronze” on my eyes; and for my cheeks, I used a mix of a hint of “pink” and “darling pink.” Since trying them, I’ve used the eyeshadow palette every single day since and love the way the shadows glide on naturally. 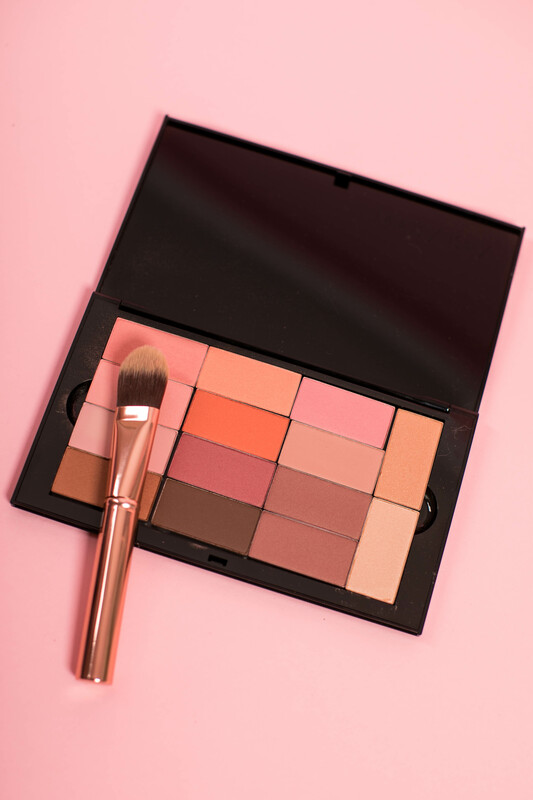 I’ve even spoken to other influencers who worked with Mary Kay and we’ve all been oodling over the fact that: once we tried this palette, we ditched our other shadows completely, and wear it on the daily. My mom even tried to pinch my Chromafusion Collection from me — I guess I owe her from back in the old days, huh? Regardless they’re definitely baubles worth negotiating over; and I’m not giving these babies up. 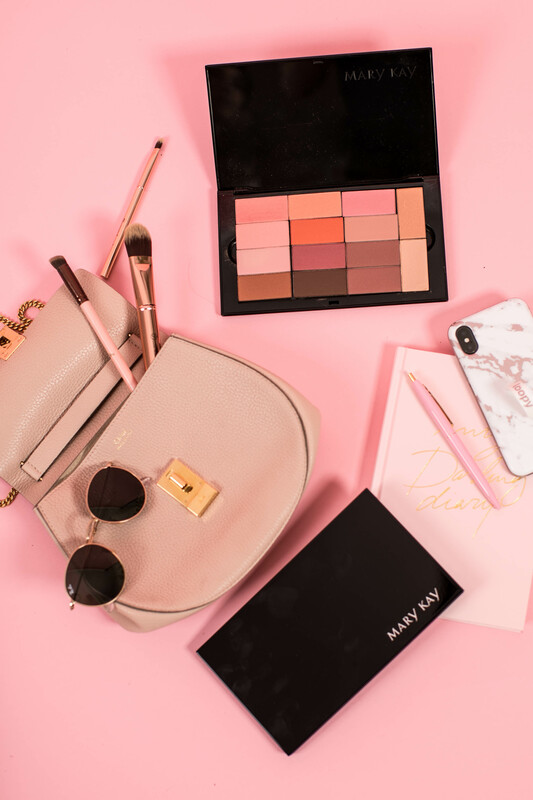 Lastly, being the boss company they are, Mary Kay made the Chromafusion Pro Palettes customizable—meaning you can re-organize them by daily routine and mix and match them up based on your favorite colors, etc.. 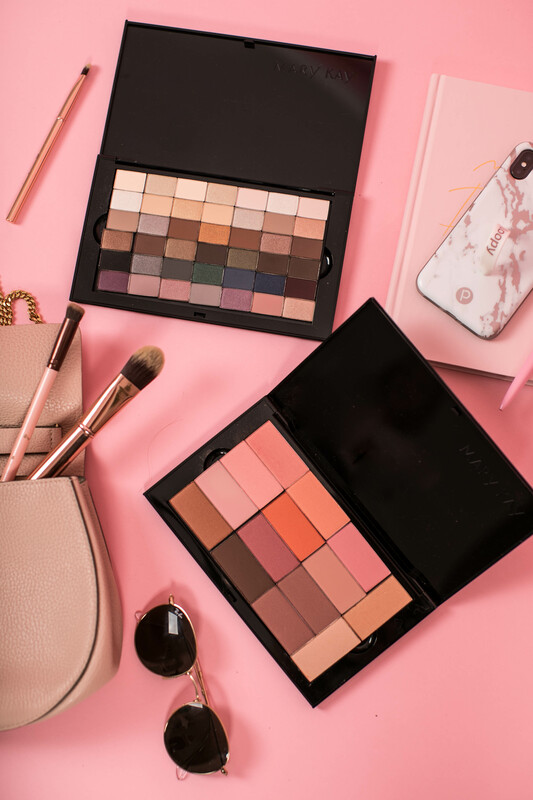 The long-lasting, non-creasing formula is boast-able, the pigments and hues are deliciously “everyday-applicable,” and the Pro Palettes are customizable – and the cause behind…is just wonderful. Thank you, Mary Kay, for sponsoring this post. All opinions are my own. Never heard of Mary Kay but thank you for sharing, I will check out this brand for sure! That is amazing!!! Those palettes are gorgeous! They truly are. And amazing on anyone. Love, love, love this! I have used MK for over 40 years, and have always been told I did not look my age. Since I had 4 eye surgeries this summer/fall, I have not been wearing eye makeup, but you’ve got me excited to try again now that all has healed. I met Mary Kay a number of times as a much younger sales representative– we’d travel to Dallas for the seminars, and I always left so uplifted! Where are those jeans from? So full-circle. Love how you’ve tied it all together in this post: your faith, your family and your passion. So true about setting your priorities in the right place, and everything will take shape as it should. X love! Thank you for your opinion and praise. As a mk user & consultant it’s great to see support. What a great post! I have heard great things about Mary Kay and must give it a try!